Hello everyone!! 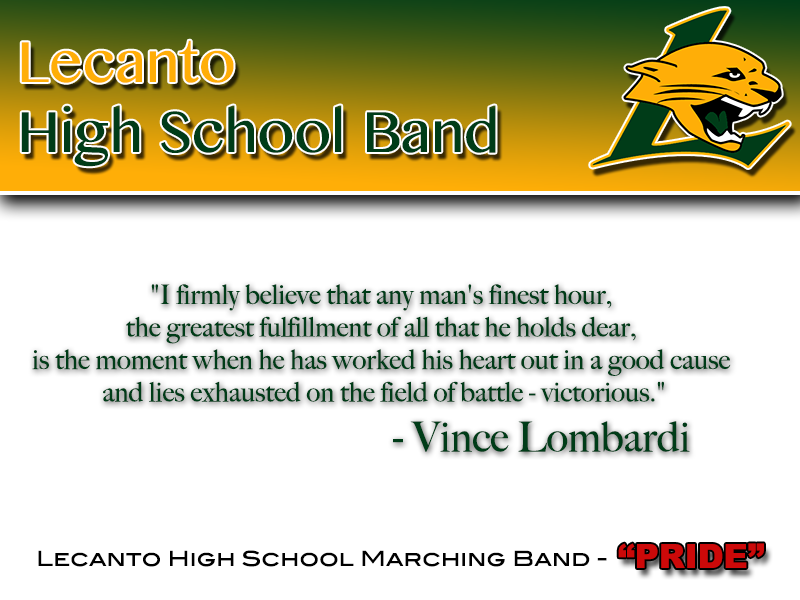 Hope that you have a great summer and are excited for this coming marching band season. This season the Pride of Lecanto High School Marching Band will be performing The Do Over Button. Everyone participating in marching band MUST plan to attend band camp at Lecanto High School on the following dates. Please see Band Camp Link for all camp related info and paperwork needed to participate.